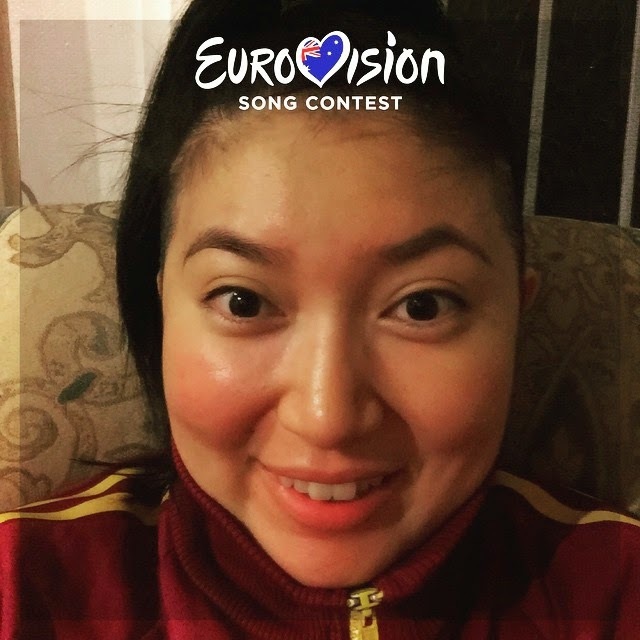 This year's Eurovision reached maximum excitement in the Pham household since our adopted (and much beloved real own) country, Australia got to take a real part. Plus for the first time Eurovision was broadcast in Grandpa's home country of China. So many levels of woohoo! Last year Jessica Mauboy was a special Aussie guest performer but didn't take part in the actual competition. This year Guy Sebastian was an official Australian entrant and he was glorious. This meant Australians for the first time in history could vote and contribute to the live results! Or.. well, before the local SMS service had a meltdown from an overload of Eurovision love. Somebody here underestimated the (obsessive) love Australia has with Eurovision. Dad Pham and I had a slumber party... well, I slumbered - he partied all night til dawn since he'd had his night's sleep at 5pm - 11pm Saturday. Only Eurovision could get me out of bed and this alert at 5am on a Sunday. Enough about the yay! - here are my thoughts and feels on the event. Austria's staging and lighting was amazing and the opening with Conchita flying across the room showed it off in brilliant style. The trio of hosts made me feel confused and awkward - sorry ladies, you had zero chemistry together. Voting is always dragged out - hate the country hosts who milk their 10 seconds of Eurovision screen time, but Lee Lin Chin was wonderfully professional, efficient and tasteful in her comments (go Australia)! Biggest squeal from this Pham goes to Australia. Guy Sebastian nailed his performance - I wasn't a fan of the song preview in clips but in the context of Eurovision and the 110% personality he threw into the live show made my day. Thanks for doing Australia proud, Guy! Dullest song goes to Armenia, I won't bore you with the video.